Last year, we introduced an indicator of the basic health of the economy and added it to the many charts we monitor to gauge market conditions. The indicator is constructed with commodity prices, initial claims and consumer confidence. 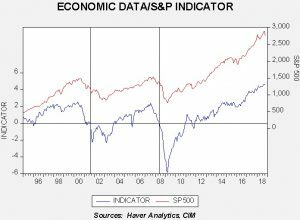 The thesis behind this indicator is that these three components should offer a simple and clear picture of the economy; in other words, rising initial claims coupled with falling commodity prices and consumer confidence is a warning that a downturn may be imminent. The opposite condition should support further economic recovery. In this report, we will update the indicator with October data. 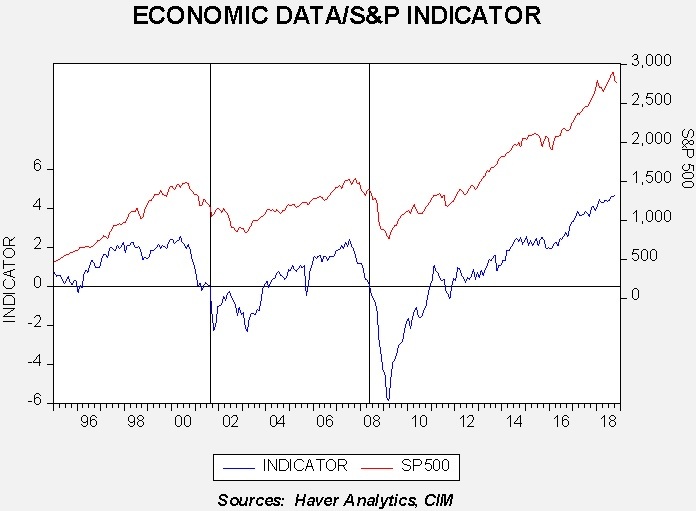 This chart shows the results of the indicator and the S&P 500 since 1995. The updated chart shows that the economy is doing quite well. We have placed vertical lines at certain points when the indicator falls below zero. Although it works fairly well as a signal that equities are turning lower, there is a lag. 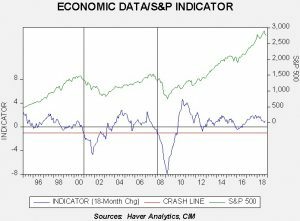 In other words, by the time this indicator suggests the economy is in trouble, the recession is likely near or underway and the equity markets have already begun their decline. To make the indicator more sensitive, we took the 18-month change and put the signal threshold at -1.0. This provides an earlier bearish signal and also eliminates the false positives that the zero threshold generates. Notwithstanding, we will pay close attention when the 18-month change approaches zero. What does the indicator say now? The economy is healthy and currently supportive for equity markets. 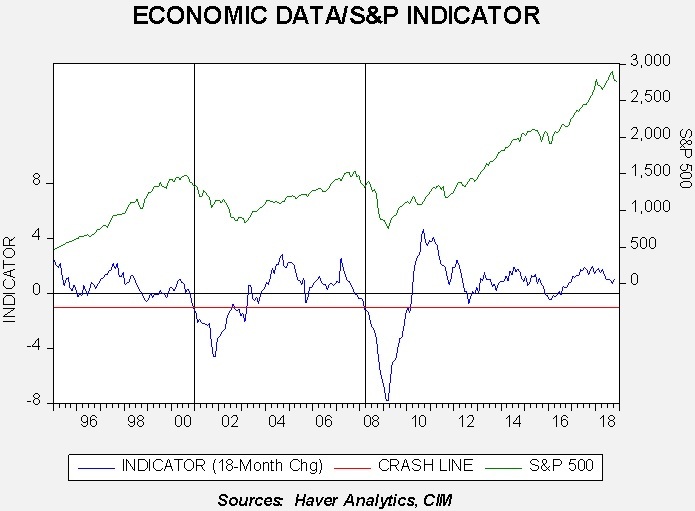 Thus, the recent weakness in equities is not due to the economy but other factors, including monetary and trade policy. The good news is that if there is any reduction in concern over these issues then the economic data would likely support stronger equity prices. The negative news is that there isn’t much evidence yet to expect a pause in Fed tightening or a systemic easing of trade tensions. Thus, for the time being, equities will struggle to challenge recent highs.